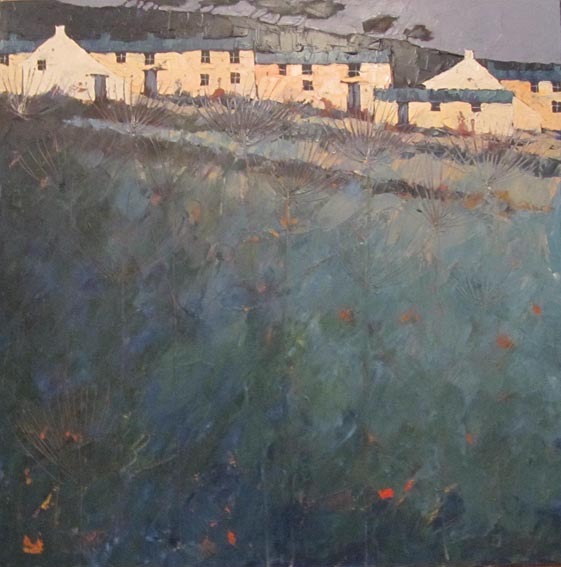 John Piper was born in Salisbury, Wiltshire in 1946, but moved to Cornwall whilst still at school. 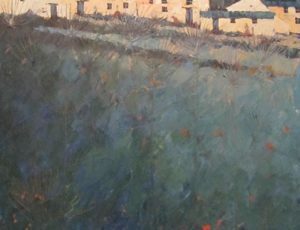 He soon discovered the contemporary paintings being shown in St Ives, and first exhibited his own work in the late 1960s. 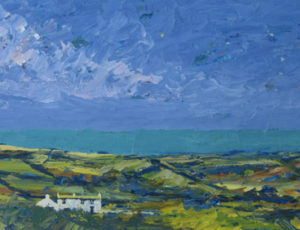 He taught painting, drawing and ceramics in schools in Penzance for twenty years before taking up painting full time. 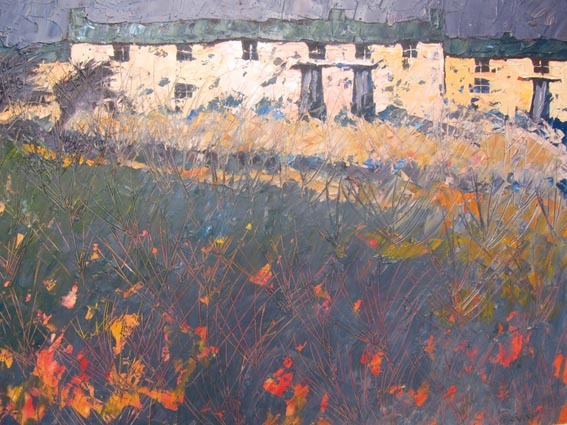 Today he lives close to Land’s End and works from his studio, a converted barn overlooking the West Penwith moors. 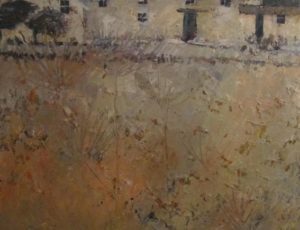 Strongly influenced by the countryside of west Cornwall, John is well known for his paintings of the moors, carns, headlands and cliffs that characterise this landscape. 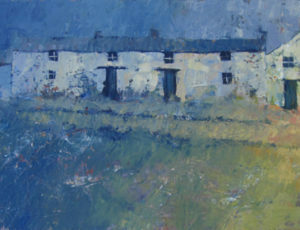 More recently, traditional Cornish cottages and farm buildings have been predominant in his work. He applies paint in several layers, often with deeply etched lines allowing contrasting colours to show through. Looming skies or large expanses of moorland create a dramatic, often stark effect. 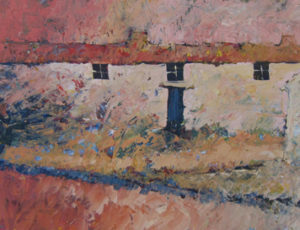 John always works with oils, smaller paintings usually being on board, larger ones on canvas. John exhibits regularly in Cornwall, London and the rest of the UK. His paintings have been shown across Europe and North America and are widely collected. 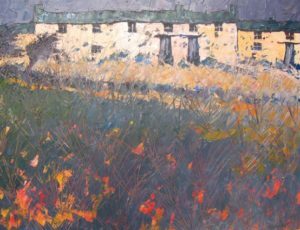 He is a Member (and currently Chairman) of the Penwith Society of Artists, and regularly shows his work in the Members’ Exhibitions at the Penwith Gallery in St Ives. 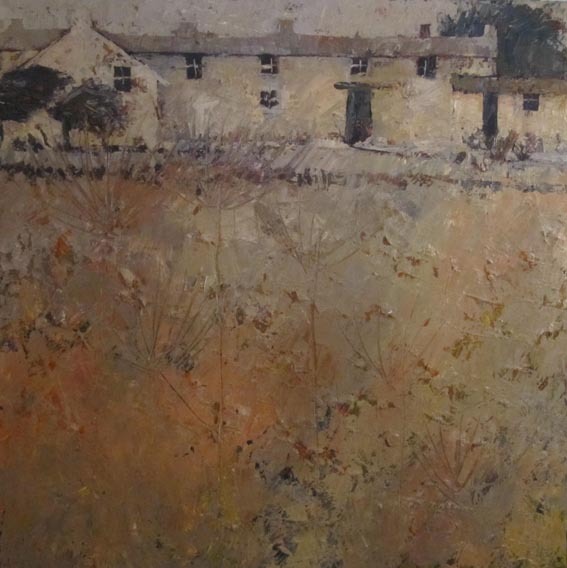 He is also a former Chairman of the Newlyn Society of Artists.